On January 7, 2019, Thomas (Tom) Mullarkey, passed away in his Hustisford, WI home at the age of 66. Tom was born on December 12, 1952 in Milwaukee, WI to Linus and Joan (Brannan) Mullarkey. Tom graduated from Whitefish Bay High School with the Class of 1971, and attended UW-River Falls. He worked for many years as a mail carrier for the United States Postal Service. He shared his home with his beloved cats, Schizz and Dickens. Tom was quiet and reserved, but well known for his dry humor and quick wit that was sure to draw a laugh. He was a talented artist and often sent out cards with caricatures and jokes to family members he held dear. Tom was known as the gruff yet unexpectedly hilarious uncle that always had a special supply of unique candy and treats for his nieces and nephews in their younger years. His repertoire of amazing Thanksgiving recipes were proof of how great of a cook he was. Tom was often the last to show up at family gatherings hoping to sneak in unannounced, but his presence was always appreciated and made the family feel complete. Tom was also an avid animal lover and enjoyed living a peaceful and quiet life with his pets. Tom was preceded in death by his father, Linus, his mother, Joan, his sister, Maureen Frechette, and his brother-in-law, Robb Frechette. He is survived by his brother, Jerry (Toni) of Scottsdale, AZ, his sister, Eileen (Kevin) Braatz of Beaver Dam, ten nieces and nephews, and their children. 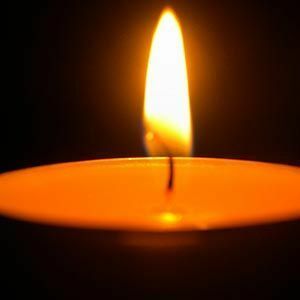 A memorial gathering will be held on Saturday, April 13 from 10 a.m. until 12 a.m. at the Koepsell Funeral Home in Mayville. Add your thoughts, prayers or a condolence to Thomas 'Tom' 's guestbook.